We’ve released a printer-friendly layout of TripBarker’s trip planner interface to allow you to print and share Trip Routes easily. It’s is designed to be able to print on A4 or Letter-sized paper. 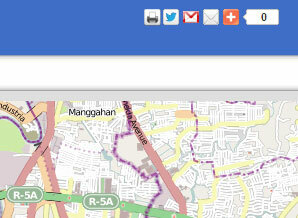 To access it, simply plan a route using the main Trip Planner and click the print icon on the upper right. You can also share and bookmark the printable page directly. Tagged gtfs philippines, lrt philippines, mass transit philippines, mrt philippines, philippine gtfs feed, philippine transit planner, philippine trip planner, print trip plan. Bookmark the permalink.